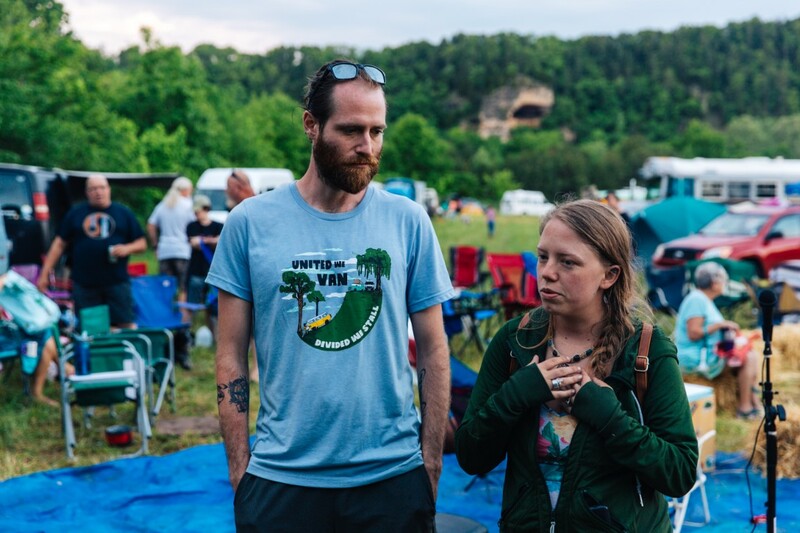 This past May, Jayme and John from Gnomad Home hosted the first ever Midwest Vanlife Gathering in the Mark Twain National Forest of Missouri. 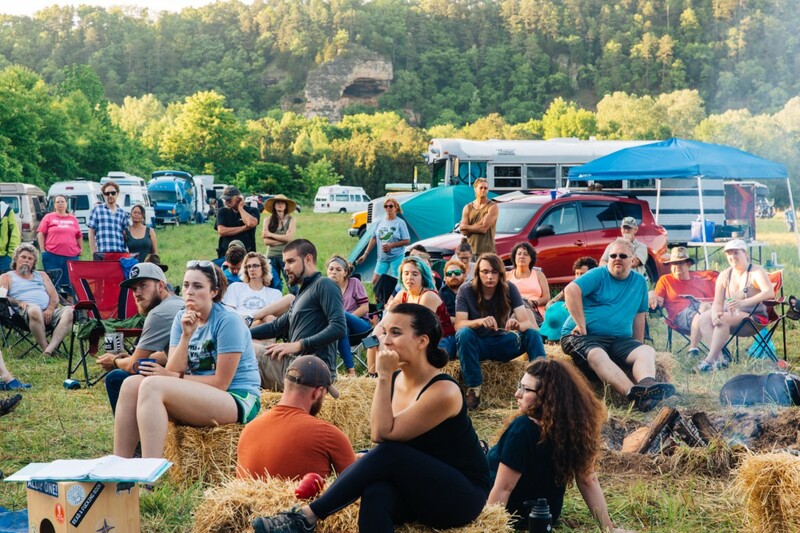 There were about 100 vans and 150 people hanging out on about 5 acres of land right next to the Big Piney River! What all goes into planning a meet up though? Jayme gives us the inside scoop! What were your expectations for the gathering vs reality? One of the main things you learn pretty quickly when living in a van full time is to not place too much weight on expectations, because 9 times out of 10 everything you plan for never goes as expected. We did everything we could to prep for anything that could go wrong – we roped off an emergency firelane down the center of the property, we covered the raffle items with tents and tarps so they wouldn’t get wet, we brought extra tick keys and reminded everyone frequently to check themselves – so we were certainly prepared. But as far as expectations, we were just hoping that everyone would enjoy themselves. That expectation was not met – but surpassed monumentally! The weekend brought hardships – tall rough grass, ticks, severe thunderstorms (yes, plural) but no one let this ruin their weekend! Everyone kept their spirits high and attitudes positive and we all ended up enjoying ourselves tremendously. What did you enjoy most about the gathering? I really enjoyed hearing everyone’s stories. We all come from such separate and different backgrounds with our own hardships that have led us to where we are now. I was able to talk with people in the midst of a divorce, parents who have had to bury their kids, people who have hurt and have seen the darkness of the world, but keep rolling along with their wheels by their side. Hearing the stories of others brings a different kind of life and into my body that is deeply moving. It is why we search out our own kind, and try to give them this community with a bit of a block party feel. We have all seen our own struggles, and will see many more in the future. And none of us have a clue what we’re doing along the way. 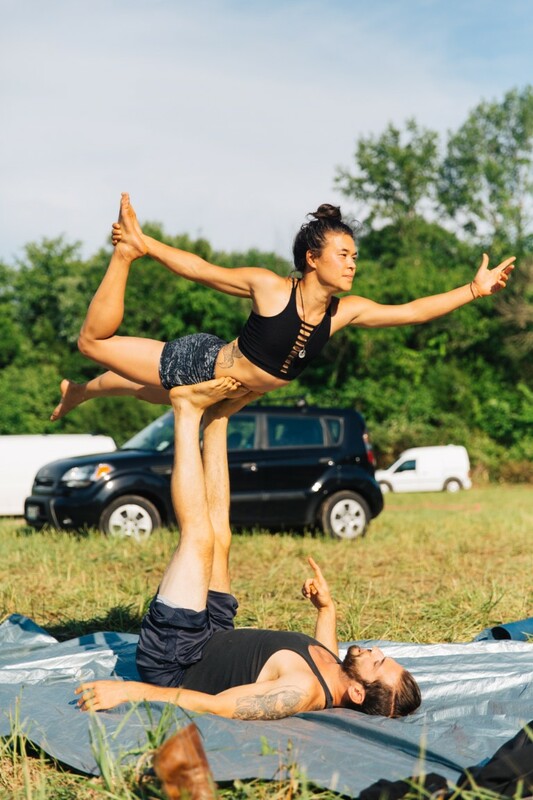 We’re all just figuring it out as we go – individually, but also together as a community. 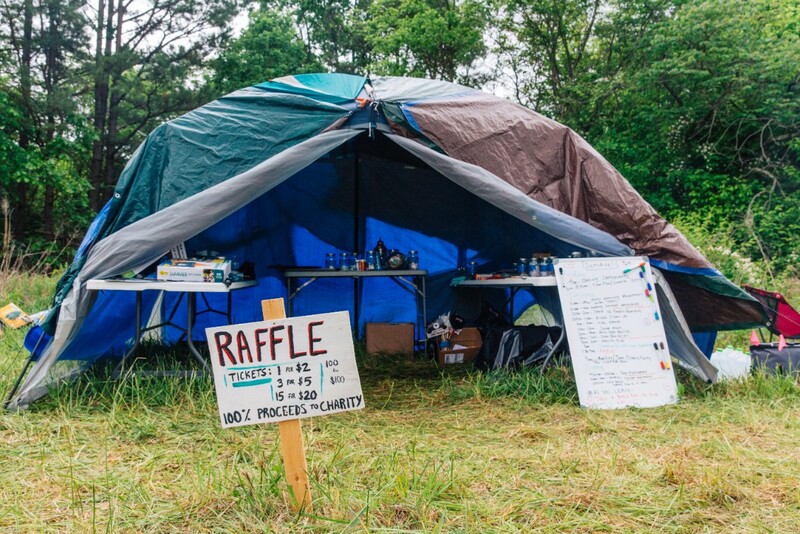 What were some of the most difficult aspects of planning the gathering? I love organizing events (I probably had way too much fun planning our wedding!) so there isn’t too much I consider to be “difficult” but there is a lot of stuff that is tedious – like contacting potential sponsors. My little secret to how I did this was I just went to the REI website and went to their “Brands” section, then I just scrolled through it and contacted any company I was familiar with and agreed with as far as what they were creating, and what they do as a company. This probably took me about a week straight of doing nothing but contacting over a hundred brands – probably give or take 50 hours total. There were a lot of tasks like this where, again they weren’t difficult necessarily, but they were very tedious, repetitive and time consuming. 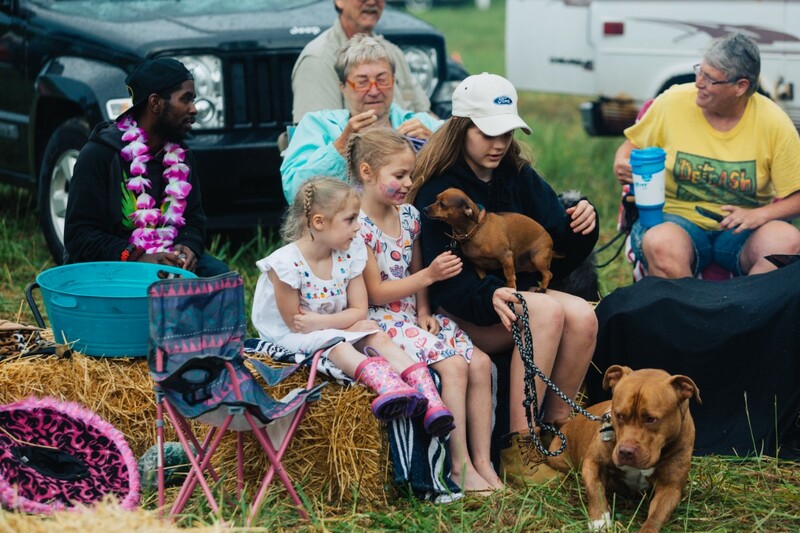 Other than that the most “difficult” part was praying that the weather would work out in our favor – which some would argue if it did or did not – but everyone still had an incredible time, so I think it’s safe to say it worked out. How much time did it take to plan the gathering? We planted the seed of potentially hosting a meet up with Vanlife Diaries last October, 2017. December/January we decided “Okay! Let’s just do it!” and chose a weekend, announced it on all of our platforms, then hit the ground running. I didn’t work on it nonstop at the beginning though. I would only do a little bit here and there. It wasn’t until late February/early March that I decided to dive more into it and really start developing the weekend – contacting sponsors, organizing potential volunteers and odd jobs we would need, emailing with the Forest Service about a location and all the goodies that follow hosting events in National Forests (also — wicked shout out to the Forest Service down in Missouri! They absolutely DOMINATED in making this weekend go as well as it did. They even delivered a pile of gravel and laid it out for us, bulldozer and all, over the muddy entrance to help vehicles get in and out a bit better. Anyway, long story shorter — the Forest Service was the true MVP to making this weekend as successful as it was!). So we planted the seed in October 2017, announced the event in January 2018, and really started plucking away at working on the event around March 2018. Then had the event May 2018. 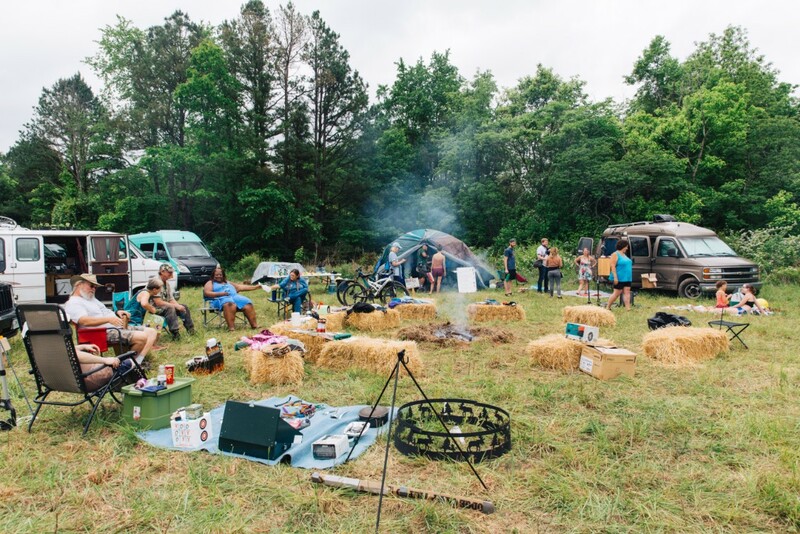 What would you do differently if you had to plan another gathering? I wouldn’t mind doing exactly what we did for this past one all over again — but we do certainly have some takeaways of things we plan to do differently next year. For starters – we are searching for a different property, with the help of the Forest Service and some insight from other individuals with leads on private property. The forest service has some ideas of areas with a bit better drainage (the property was a swamp by Monday morning), and we are looking into options for having a covered area – whether that be a tent or an already built shelter. This way, if a storm does roll in, we don’t have to cancel or postpone any events we had scheduled for that time. We would change some very minor things on registration that were brought to our attention, like listing an emergency contact, especially for those solo travelers out there. We also plan to incorporate more workshops next year. Our brand – Gnomad Home – is all about supplying free information to those wanting to pursue this lifestyle, so with the help of some feedback from others, we decided to mix a bit more education and information into next year’s event. We hope to have different workshops for people to attend on subjects like solar, working on the road, insurance, basic survival skills, and more! 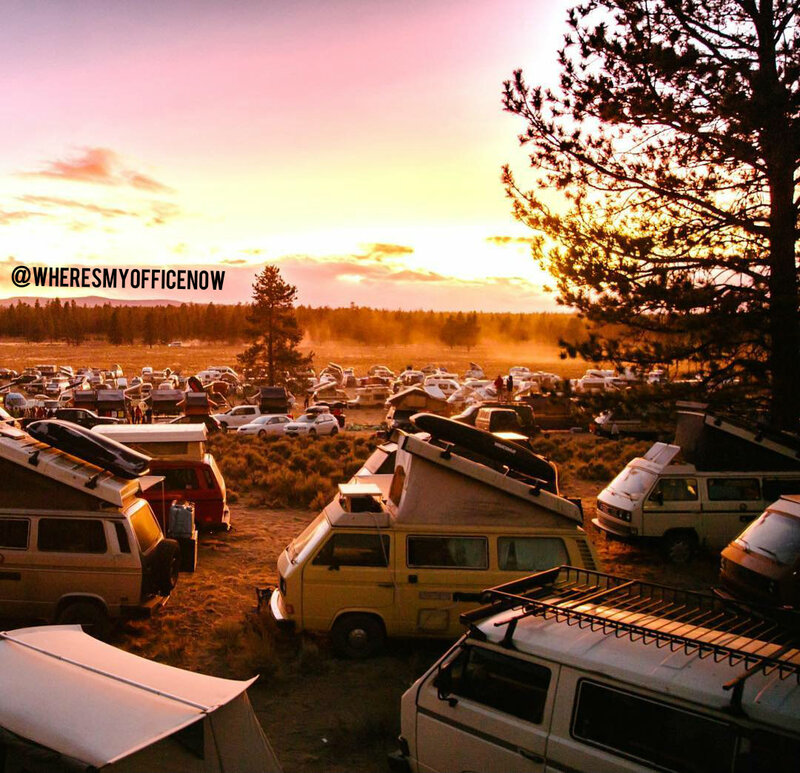 We did have a Vanlife Q&A at our event this year, but it proved that there were so many questions over so many different topics that we needed a way to split it up so that the people going on 3 years of traveling don’t have to sit through questions like “Where do you poop?” and newbies won’t get lost during an in depth discussion about batteries or mail forwarding. All-in-all we think the weekend was a tremendous success. We walked into the it thinking “Well – this has been fun, let’s enjoy it and get back to our traveling and never come back again” and finished the weekend writing out lists of how to make next year’s gathering even better and we can’t wait to host another one. The joys of living with a flexible attitude, right? !